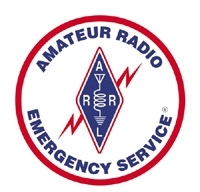 We are an ARRL affiliated club, committed to supporting the amateur radio hobby.We operate in Honolulu Hawaii and support all types of ham and amateur radio operations such as Allstar, IRLP, DMR, packet, and of course HF, VHF, and UHF. ...Website of the Hawaii Emergency Amateur Radio Club. Whether you are newly licensed, recently upgraded, or just , getting back into the hobby... this club is your start to life-long friendships and an exciting hobby. This is a Pot Luck event. Please bring something to share with everyone. Thanks. See you at the meeting. Welcome to WH6CZB/KH6CE EARC Website.............Next Meeting April 16, 2019 At the FRA. The May meeting will be at the Aiea Public Library, 99-374 Pohai Pl, Aiea, HI...........Aloha! =====>> Click here for End Fed Matchbox Info Page. The science fair took place on April 9th. A team from the EARC participated in the fair this year and awarded scholorship from the KH6IJ Scholorship fund which the Club maintians in memory of Kitachi Nose KH6IJ. Thank you to the team of Judges from the club who helpled out, Wayne KH6IN, Steve KH6WG, Gary N9SBL and William KH6MEI. They had a great time and it sure was a tough decision. Each winner recieved a cash award from the KH6IJ Scholorship fund. The Club purchased two Motorola SLR5700 DMR repeaters and now the ARRL Section manager is giving DMR repeaters to other hams off island, contact him and maybe you can get one to for your area. The first of these two repeaters was installed on May 5th, 2018 at our Maunakapu site replacing the Analog UHF repeater there on 444.100. Since turning it on there has been quite a bit of activity from users and we are happy to see it going so well. Click here to the repeaters section where you find a link describing the setup and talkgroups for this repeater. There is plans to install second repeater on 444.500 in town, coming around the end of September. Scroll down to the end of the page for repeater status and updates.